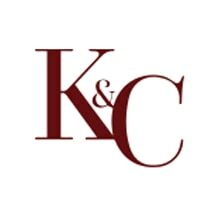 Located in Sacramento, California, the law office of Kravitz & Chan, LLP, provides exceptional advocacy and support to licensed professionals in a variety of industries who face any type of serious administrative actions regarding their licensures. If you seek to challenge a previous ruling regarding your case, you can turn to us for effective administrative writs and appeals, and we promise to do all we can to help you achieve the positive outcomes you deserve so that you can continue in your career. At Kravitz & Chan, LLP, we understand the stress and anxiety you are likely feeling regarding your situation, and we will treat you with compassion and respect as we aggressively pursue the most favorable outcome possible on your behalf. To find out more about how we can best serve your needs, you can contact our law office to schedule a free initial consultation. Paul Chan was my attorney regarding a licensure denial from the BRN. I consulted with over 20 attorneys, and as soon as I spoke with Paul I knew he was the one I should be working with. He is non judgemental, matter of fact, and generous with his time and overall service. This process was the most tiresome, difficult time of my life. Paul helped me to get positive outcome and I can’t say thank you enough for such a solid fight for my case.